I always likened filming a movie saga to dorming at college. Basically, you live, sleep, eat, and breathe with the same people for years on end, and ,because of proximity and familiarity, you become somewhat like a family. So, I’m never shocked when I see something like Jennifer Lawrence pulling Josh Hutcherson’s beard hair before an interview. Because, sometimes, you’re a loving family. And, other times, you’re the epitome of dysfunction. I think the Hunger Games cast is a testament to this in more ways than one, seeing as they have shared some of the most ridiculous, but also some of the sweetest, moments together, onscreen and off. It seems as though Lawrence and Hutcherson in particular are the most comfortable with one another. The bond that Katniss and Peeta share in the film has definitely translated to the one they share in real life — albeit the real one seems a whole lot less intense and whole lot more antagonizing (in the most loving way). But the one thing that does remain the same is that like Katniss and Peeta, J. Law and J. Hutch are a united front. Here are 7 times Katniss and Peeta were a team, on-screen and off. I mean, would she be a good friend if she had let him go on air looking unkempt? While dressed in Katniss and Peeta's clothes. This is getting confusing, guys. Which, for her, is kind of a big deal. 'Cause I'm pretty sure by now they're an officially married couple, if this video is any indication. You know what? It doesn't seem like a half-bad team to be on, really. 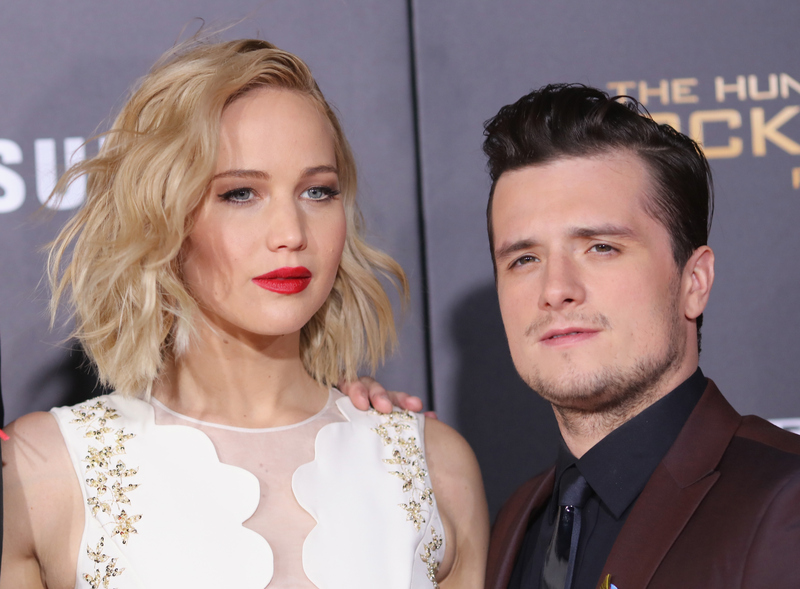 If we're losing anything from The Hunger Games coming to a close, it's the amazing dynamic between J. Hutch, J. Law, and their characters. Excuse me, I need Kleenex.